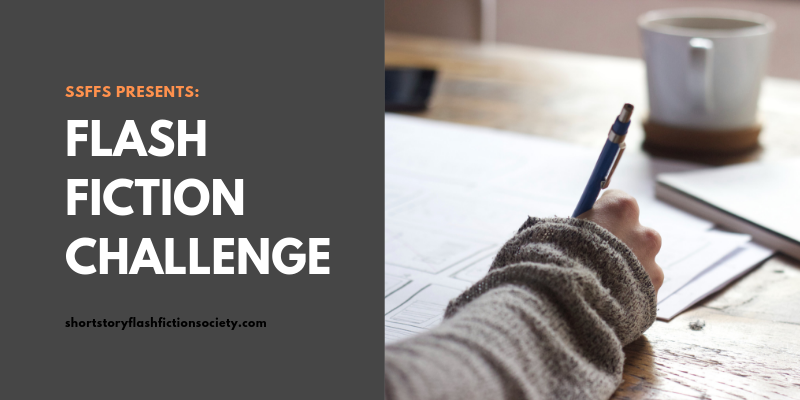 We have a new flash fiction challenge that we’re very excited to share with you. You can enter one flash fiction story written from a photo prompt, and we’ll put the entries to a vote! It’s easy, it’s fun, and if your story wins the contest, you get a free copy of our writing prompts ebook to keep you inspired for months to come! Please use the photo below as a prompt. The rules of the challenge follow the photo. Write your post in the comments below. No pornographic or hateful work or political commentary. When the deadline of March 1 is reached, commenting on this post will be turned off. We will then open voting to the public on March 4. The polls will be open until Thursday, March 7, at which time, we’ll determine the winner based on the results of the poll. Again, the winner will receive the free copy of the 110 Writing Prompts eBook and their winning story will be posted on the site! Best of luck to everyone. We can’t wait to read your stories! IMPORTANT: If your entry is pending for a while, it is because comments must be approved before they’re posted publicly. Please be patient with this–it’ll be posted as long as it adheres to all the rules! A wild predator seeks its needs. The civilized hunter takes. A naked tree in winter sprawls its branches outward reaching to begin anew. Full of hope the surrounding haze stimulates the morning stillness. A misty shroud over the tree emits a halo as though coming from its soul. What waits beyond the wood only the wild knows. The sun on the horizon peeks over the mountains. Crisp and serene, the outside air chills. She ruffles her yellow pelt to capture the warmth in her fur. Bundled up in his eider-down-jacket he is unaware of the chill. Everything in front of the naked tree shows no image, only silhouettes in the morning sunlight. Searching through his field glasses, the hunter spots his prey. Sleek and healthy, it feeds on the meadow grasses. Nothing to fear, she stops, sniffs the sweet tantalizes air. A mouse rushes across the frozen grass takes shelter. The tidbit, ignored by the predator lets it pass. It satisfies not its hunger. Larger game is what she requires as she licks her chops viewing the animal feeding in the meadow. Waits the cougar and gazes with a keen eye the path the deer meanders. Four cubs in her den wait. Hungry, they express their irritation. Their little stomach’s growl and whine, and lick each other to stop their hungry pain. Impatient, they moan and wait. The hunter lifts his rifle, peers through its scope, along the barrel, past its sight, and views a relaxed deer feeding. A sudden, unexpected motion catches the hunter’s eye. A yellow, sleek object crouches. Slow, cautious, and determined, it approaches its game. The day’s meal, unknown to its surroundings feeds. KA-BOOM! Throughout the valley cracks the silence, echoing. The four cubs meow and meow and meow and wait. A hunter takes his trophy. The book that your sister gave you. Your favorite. She said she bought it. You know it was a gift from someone. She didn’t like it so she gave it to you. The purse your mother gave you. Full of chore lists. She said she forgot them there. You know she wanted you to find them. Your college diploma. Your father said it would make you happy. You know it would make him happy. The office job. The one you hated. The one they loved. The wedding dress your grandma gave you. She said she would give it to you only when you would find Mr Right. Poor sweet Grandma. He fooled you too. The photo album. Lips smiling. Eyes crying. The cemetery. Your ghost comes here every night. You can’t accept that you died without having lived.